I can never resist a bit of Tiger. I find it hard to walk by without popping in to have a wander around the shop to make sure I'm not missing out on anything fantastic. For those of you who aren't familiar with the chain, Tiger is like a mixture between a pound shop and Ikea. All the stuff is colourful and cute, as well as being easy on the pocket. This time around, I bought quite a few bits, all of which I was extremely pleased with! 1. 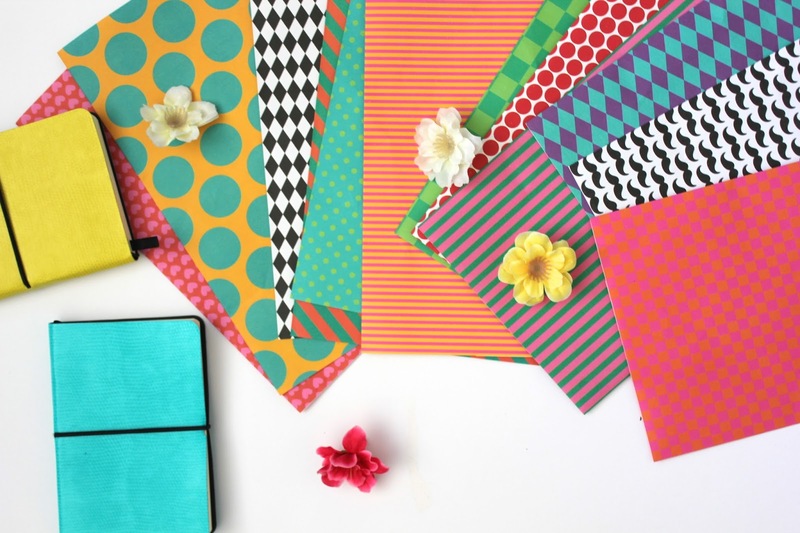 These cute notebooks caught my eye because of their simple design and bright colour. Inside, the paper is blank and of really good quality for the price. The black elastic holds the notebook closed, and adds to the overall design. I am delighted with mine, and while I gave one away, I plan on using the other to write down blog ideas and inspiration. 2. Tiger always seem to have a range of mixed coloured papers, which I use for wrapping presents and designing cards. They come in lots of cute designs and colours, with a big pack costing only €2. These are just a few of the designed papers from my pack. 3. Finally, I picked up these four pretty flower magnets. I have a magnetic board in my room and hope to use these to decorate it. I loved the cute details on these, as well as the contrast of colours between them. I never feel guilty after a trip to Tiger, as I nearly always leave with change from a tenner and a bag full of cute supplies. What do you think of the few bits I picked up? Let me know in the comments below.